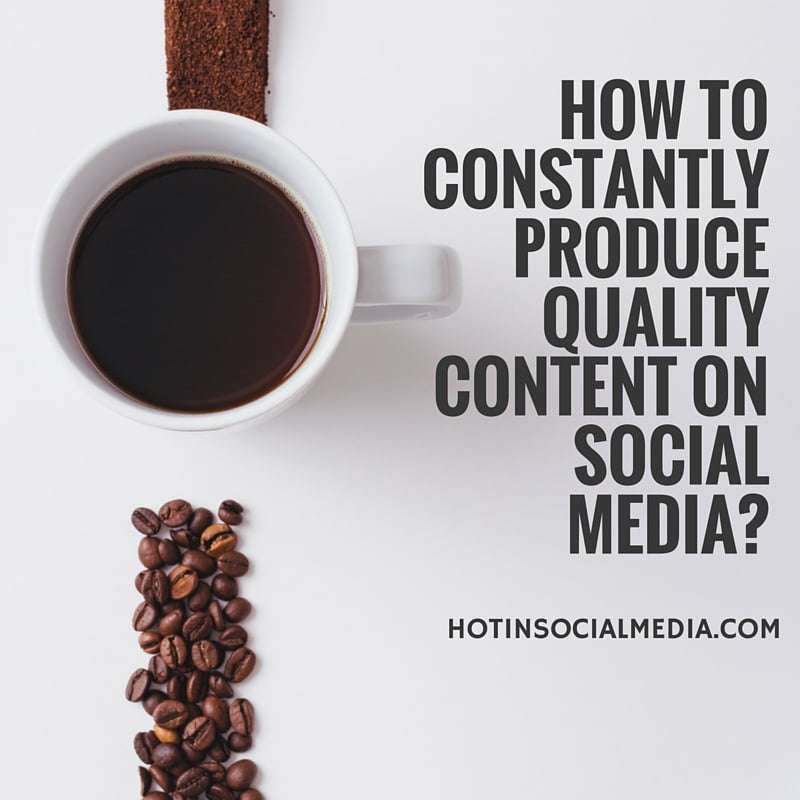 With the advancement of social media today, churning out (or producing) constant content for social media is a huge challenge even for big time marketers. For starters, it takes a lot of time and effort to streamline all your marketing strategies. Producing quality content is vital. You want to be known for sharing content that engages with your followers. On top of everything, you want to make sure that your followers find your post interesting and useful. What does quality content mean to you? For many, it simply means supplying information that matters to others. The information can be in any forms and they have to be able to provide a solution to problems or challenges. Quality content can also be justified as content that is not spam or overly promotional. So, are you ready to find different ways to produce quality content? You can only keep your followers updated when you are up to date with the current trends. And yes, this is the first step in getting your social media marketing on the right track. Getting the right information (at the right time) is vital in any forms of business. However, reading takes a lot of time to say the very least! If you want to save time and get things done fairly quickly, I recommend using Feedly which is a great RSS reader (some call it a tool). It allows me to read information based on my settings and classification. Unlike the web, feeds on Feedly can be categorized into the right settings and groups. This ensures that I read only the information which is highly relevant and important to me. 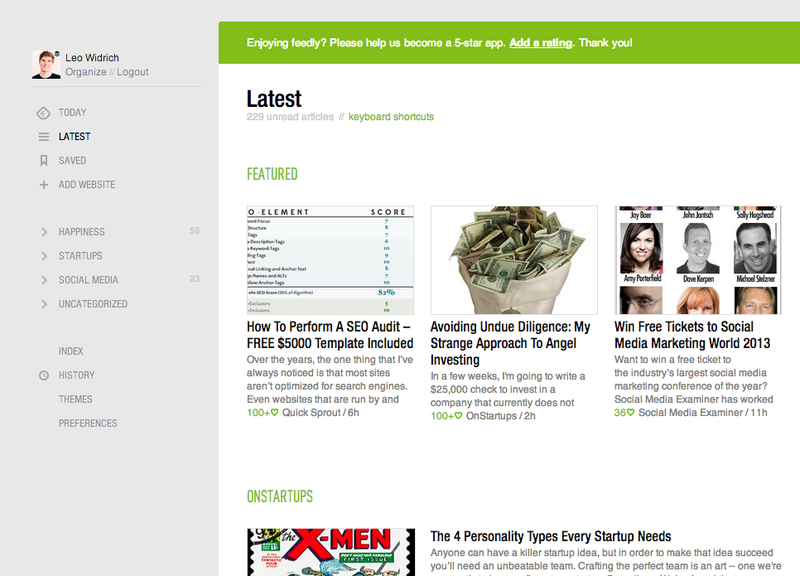 Feedly allows you to add unlimited amounts of feeds and it can turn out to be a big mess if not done correctly. The best way is to categorize the feeds into specific topics to ensure easy browsing and navigation. If you want social media marketing to work for you, you can’t just share everything under the sun. Instead, you need to constantly share powerful posts and updates which resonate closely with your business and audience. The content you share on social media must be of certain value; for example, the content must be sufficient to be a solution for your readers who are facing a challenge on a specific topic. The sky is your only limit and always have a healthy mix of all to ensure that people don’t find your post boring. Social media tools can help you to create quality content too. Take a look at PostPlanner. It allows you to share powerful content that will (definitely) resonates with your audience. Some social media tools like PostPlanner and Hootsuite provides recommendations on popular topics and items to publish. This increases the chance of providing quality content simply because others are already sharing similar topics and the posts are engaging with others. Each social media tool comes with their own advantages. It is important for you to choose the right one that fits your requirements. For example, PostPlanner is best for Facebook marketing while SocialBro is more effective for Twitter marketing. Different types of media attract different types of guests. Therefore, always create content using different types of media. For example, some followers would be more engaged with video while others may be more interested with downloadable PDF’s. How do you know which forms of media works best? The answer is by using analytics. There are many social media analytics tools (free and paid) out there that provide you with these data. Social media isn’t entire all about you, you and you. You should also share content of others and trust me, people would appreciate it! Whenever you find the content useful, feel free to share it across and maybe even republishing it on your website. You can never be too promotional with the content of others. In order to find powerful content, you can use BuzzSumo to find for relevant content (as well as popular ones). In order to constantly produce quality content, you need to have a good plan in place and time is needed to cultivate a great plan. To start on the right foot, you can first make a list of social media posts that is suitable for the social media platforms you are using. For example, you may want to construct longer posts for Facebook and Google+ while shorter ones for Twitter. For this, you can use an Excel form and list down as many posts as possible which you can use later. After constructing these posts, do not end there but instead, prepare a list of call-to-actions (CTA) to boost the engagement and clicks. Always remember that your social media marketing strategy is useless if you are not able to convince your followers to take action. In a nutshell, churning out daily content which is high quality is a challenging task even for experienced marketers. However with the right strategies, you can easily find more time to produce better content for your audience. With today’s technology, we can reduce the time taken to complete our daily tasks easily using tools such as Feedly, HootSuite and PostPlanner. While these tools help a lot in getting the job done, always remember that we have the ultimate control on what to share and when to share these contents for the maximum effect.